It’s incredibly easy to see where any appeal from SPQR would come from. At a time when more technically-minded rock appears to be flourishing more than ever, the opportunity for this Liverpool trio to break into the market is greater than ever, and coupled with the fact that, for a debut EP, there’s already a deep exploration of frontman Peter Harrison’s own mental anguishes that highlights SPQR as a band who aren’t looking to play it safe for their first few steps. Unfortunately, The House That Doubt Built doesn’t feel like the best representation of the band’s abilities. It’s far from being outright bad – there’s ample proof here that, when it comes to absorbing lyrics and off-kilter hooks, SPQR are off to a running start – but for what is such a low-key, unassuming EP, it can feel as though the band can spread themselves too thinly. Even if this brand of art-rock is built on a culmination of multiple styles, there’s a way that can be done more efficiently than how it’s presented here. That’s largely an issue of consistency really and how individual track seldom click together in a way that would ultimately be preferable. Even then, taken as independent pieces, The House That Doubt Built shows some great imagination, particularly for a first effort. The grunge / stoner-rock hybrid of Suffer and the quick-stepping alt-rock of Life Would Be Easy are both pulled off with real flair and panache, and even if the slower elements of Whatever Weather‘s swirling dream-pop and the piano ballad Dystopia aren’t quite as engaging, they serve more as examples of how impressive Harrison’s songcraft can be and how dexterously such far-reaching influences are merged into one. Even if there isn’t a particularly consistent through-line to bring these influences together seamlessly, in terms of the initial laying out of what they have to offer, The House That Doubt Built is a fine enough first offering. It’s open-ended enough for SPQR to build on accordingly, and even if there isn’t a wholly concrete sound that can be attributed to them just yet, the technicality on offer at least hints to it coming sooner rather than later. Maybe not the most impactful start they could’ve made, but a worthwhile one nonetheless. 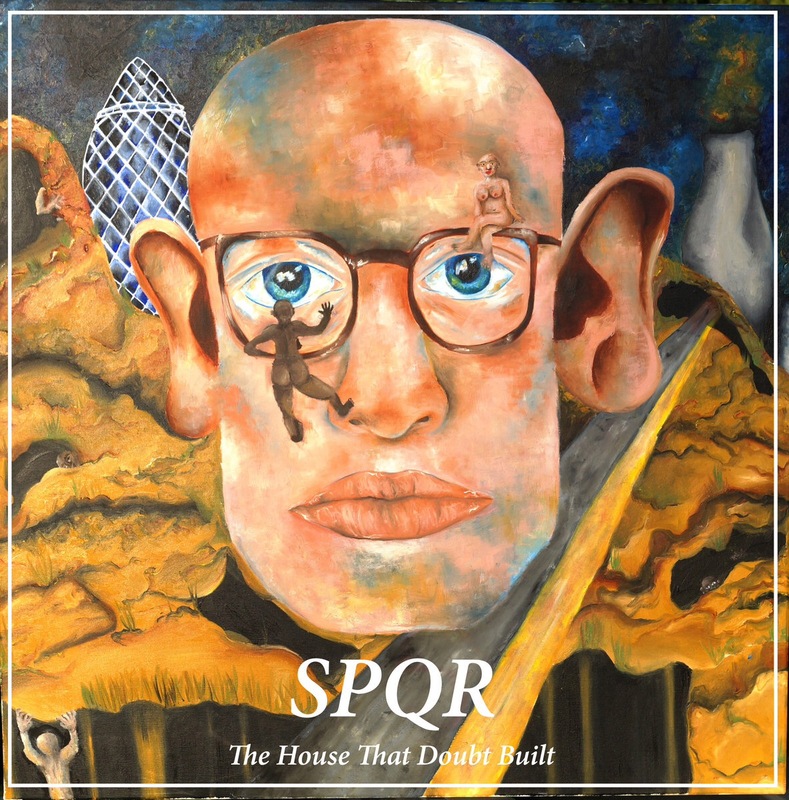 ‘The House That Doubt Built’ by SPQR is released on 10th November on Loner Noise Records.